Sometimes, it is the ONLY alternative to get you out from under the weight of crippling monthly bills and those constant, harassing phone calls. Financial matters can be stressful for anyone, but in this difficult economy, times are even tougher for Michigan families. Many people are finding themselves unable to pay their bills. CALL US FOR YOUR FREE INITIAL CONSULTATION TODAY!!!! There has been confusing and misleading information with regards to filing for Chapter 7 Bankruptcy. Below are some common myths associated with filing for bankruptcy. The Bankruptcy Code provides exemptions, which are written to protect a certain amount of personal assets. In most cases, all of your assets will be protected. We are experts in this area and will help you determine whether your assets fall within these exemptions in your FREE initial consultation. In a Chapter 7 Bankruptcy, all unsecured debts are discharged. Discharged means they are completely wiped out and you no longer owe any portion of them. It is not the same for your secured property, i.e. houses, cars, etc. We will advise you what debts are dischargeable at your FREE initial consultation. You are able to keep your secured property if you can prove that making that monthly payment does not cause an undue hardship on you or your dependents. We will review this with you at your FREE initial consultation. The new Bankruptcy Code makes it more difficult for very high income people to file. However, the allowed annual income of a single person is around $40,000.00 and depending on your family size increases from there. We can let you know if you will qualify in your FREE initial consultation. Credit cards and medical bills are the most common discharged debts in a bankruptcy. Certain taxes CAN be discharged and is a common occurrence in a Bankruptcy Case. Student Loans can also be discharged if it is determined by the Court that the debt imposes an undue hardship on you or your dependents. We can walk you through these steps in your FREE initial consultation. Bankruptcy 1 is a legal tool that enables you to protect some of your assets and to stop harassment, lawsuits and foreclosures by creditors. Though bankruptcy is not to be taken lightly, there are many situations where it is the only resort. Let us help you determine your situation and stop legal proceedings that may greatly affect you! 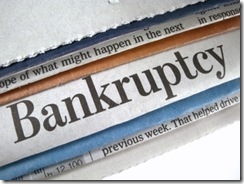 What happens when you file for Chapter 7 and Chapter 13 Bankruptcy? NOTE: after filing for bankruptcy, you cannot file again for 8 years! Within 180 days prior to filing bankruptcy you will need to complete credit counseling. You must obtain a certificate of completion from authorized agency. You must not have a bankruptcy case dismissed 6 months prior to filing their petitions or they will be ineligible for filing. Within 6 months prior to filing bankruptcy you must meet residency requirements. This means that if they plan to file for bankruptcy in Michigan, you must reside in Michigan for at least 180 days before they file their bankruptcy petition. 2-3 months prior to filing bankruptcy you must stop using their credit cards. If you use your credit cards in this time you may be accused of fraud by your credit card providers and will be responsible for any new unsecured debt that is incurred. Bankruptcy filing will start when you file your bankruptcy petitions, statement of assets and liabilities and a list of your creditors. If you are filing for Chapter 13, you will also have to submit a proposed payment plan. A few weeks after you submit bankruptcy paperwork, the court will notify your creditors and issue an automatic stay to stop collection efforts. Creditors will no longer be allowed to contact bankruptcy petitioners. A bankruptcy trustee will be appointed to your case. 30-45 days prior to filing bankruptcy filing you will have to attend a mandatory meeting with your trustee and creditors. Most creditors will not attend this meeting unless they wish to dispute assets or terms. If you choose not to attend this meeting, your bankruptcy will be dismissed automatically. Approximately 60 days following the meeting, your debts will be discharged if you filed for Chapter 7 unless your creditors have disputes. Chapter 13 filers will continue to make their monthly payments as their debts are not subject to elimination. If ,you are being harassed, pressured or received a summons then you need to act quickly to protect your assets. We have helped many clients in Michigan avoid foreclosure by filing for bankruptcy. If you are facing foreclosure, you need to speak with a Michigan bankruptcy lawyer as soon as possible to ensure your home doesn’t get foreclosed on. We at Todd A. Courser & Associates, PLLC understand that this is a very stressful and unsettling time in your life. Don’t give up hope. Call us today so we can help you untangle your financial web and get you “on the road” to a debt-free, financially-sound life.